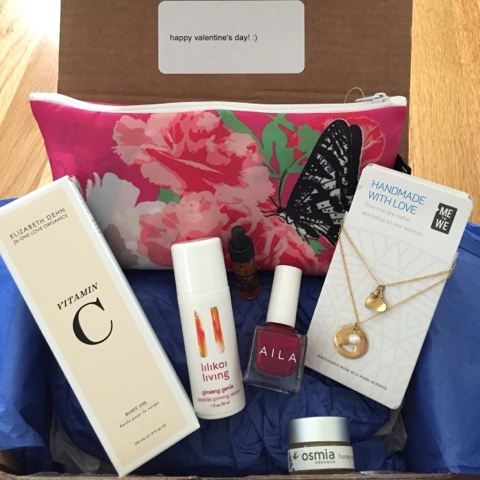 GoodBeing, a natural beauty subscription box company recently launched in February a limited edition special box. New to their services, I decided to treat myself to this indulgent box full of natural and amazing goodies. The two items that initially caught my eye were the Vitamin C body oil from One Love Organics- one of my favorite brands and the most adorable set of fashionable totes! -AILA nail polish - the perfect deep red hue for Valentine's Day and any other day ! Also included was a 2 month subscription gift to their regular monthly boxes!